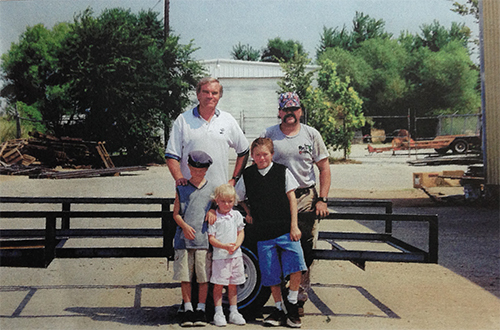 Five J established our family owned company in June 1999. Five J changed its name on January 1, 2000 after having been established under another name for the previous six months. What does Five J stand for? Why the number Five, where did the J’s come from, and how did it succeed? Well, the company is named after five family members all starting with the letter J. Sorry Linda. They are John, Jacob, Jenna, Jordan, and John. Obviously they are related… John is my son-in-law, and Jacob, Jenna, and Jordan are his now rather gifted and highly talented young adults. We have all managed to survive because of our dedicated customer base. Thank you! We repair all makes and models with preference toward Dexter Axles, Bulldog couplers and jacks, and other dependable suppliers, such as Redneck Trailer Supplies. We attribute our continued success to our great customers. In turn, they have referred us to many new customers and friends over the past 16 years.